ELVN Holiday Party – Tuesday, December 2 – RSVP Now! 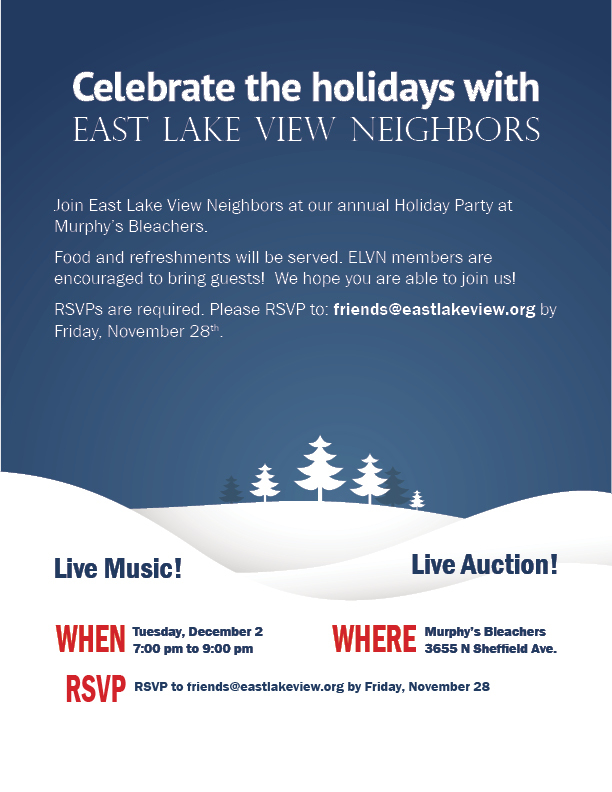 RSVP by Friday, November 28, 2014, to friends@eastlakeview.org. This entry was posted in ELVN News on November 26, 2014 by elvn_updates. East Lake View Neighbors will be holding a board meeting on Tuesday, November 11, 2014, at 7 PMin the 19th District Police Station, 850 W Addison St. This entry was posted in ELVN News on November 10, 2014 by elvn_updates.